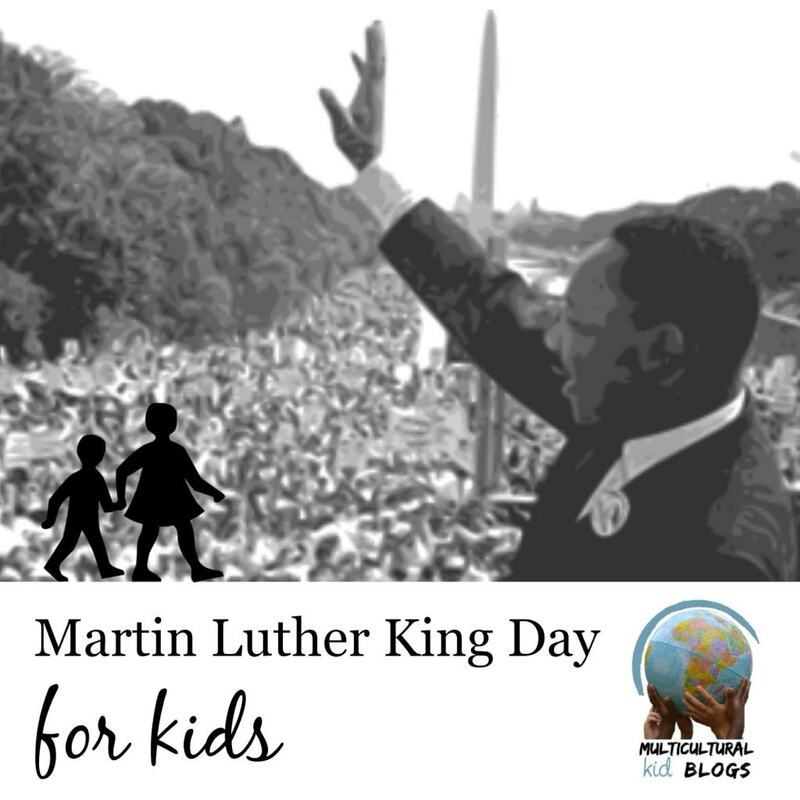 For the third year in a row we are honored to be participating in a Blog Hop in honor of Martin Luther King Jr. hosted by the Multicultural Kid Blogs. Each year a group of bloggers share resources and activities in honor of Martin Luther King Jr. and the causes he stood for. This year the boys and I reread a book we've liked for quite a while titled "Shades of People" by Shelly Rotner. 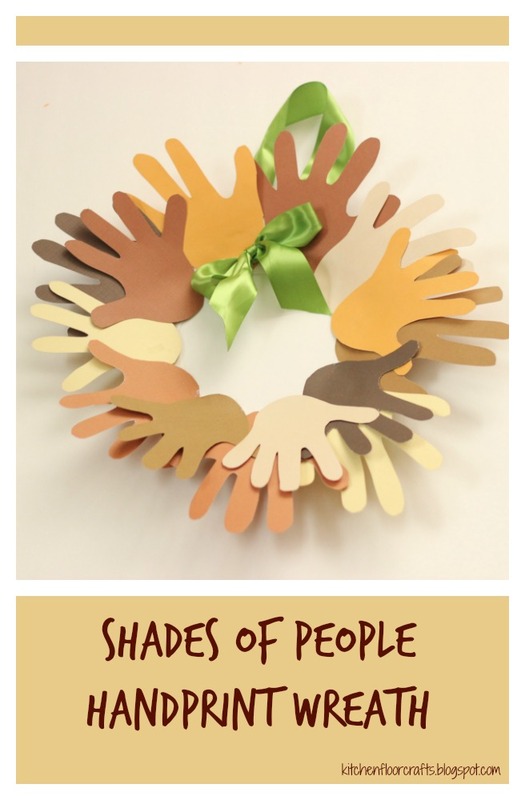 Afterwards we created a paper plate handprint wreath celebrating all the ranges of skin colors in the world. 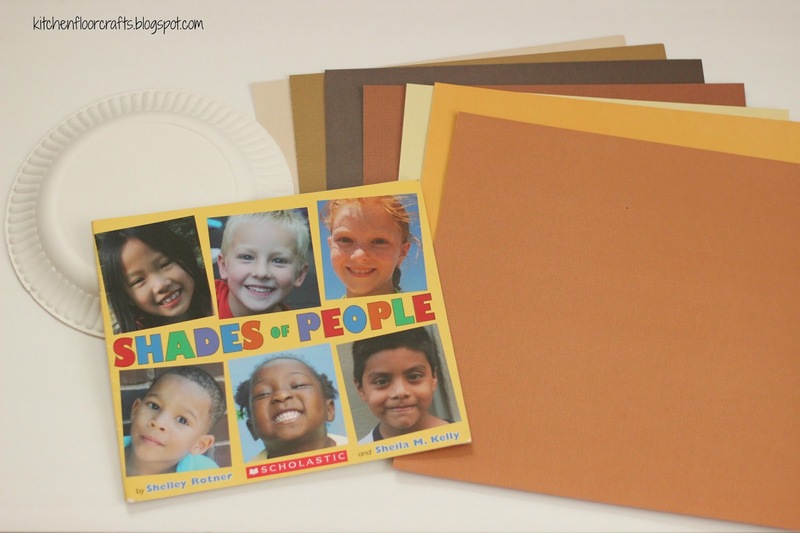 I bought this book several years ago and I love the simple, positive way it introduces children to the beautiful array of skin colors in the world. Using photographs as illustrations, it captures many real children and their families. My boys have always loved the final image in the book, which shows a group of hands resting next to each other in the sand, each one a slightly different skin shade. After reading the book out loud I reminded the boys that we had learned about Martin Luther King Jr. before. We talked about how one of the things he believed in was that everyone should be treated fairly and equally no matter the color of their skin. 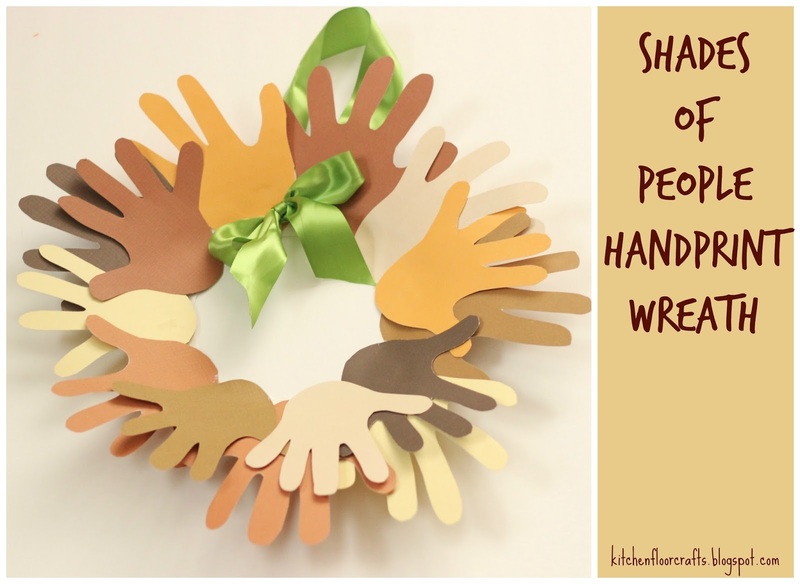 We then started making a "wreath" we could hang that reminded us of that important message. Before beginning, I cut the center out of the paper plate so we had a complete paper ring. 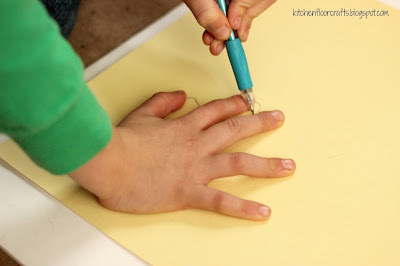 We then traced the boys' hands onto several different sheets of the colored card stock. Big Brother could trace his own, although it was easier to have me trace both boys' hands. 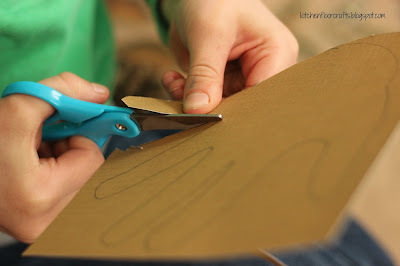 We then cut the hands out of the paper. Again, Big Brother did some and I did the others. Little Brother (aged 3 1/2) isn't quite ready for this type of cutting. When we were done tracing and cutting we had quite a pile of paper "handprints." Using glue we attached the paper handprints to the paper ring. As we glued them we overlapped some of them, trying to place Little Brother's smaller hands on top. 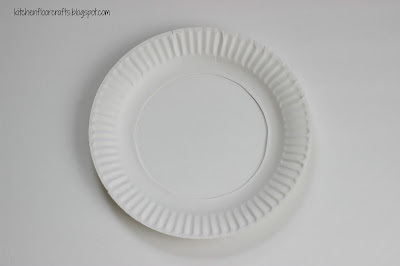 When the ring had dried, I used the paper hole punch to punch two holes near the top, about 2 inches apart. I threaded the ribbon through the two holes, leaving a large loop behind the plate, and tied a bow. We now had a completed wreath. We hung the wreath in the entryway, where we can see it all month. I just love how the colors turned out, and that it's made using both boys hand size. 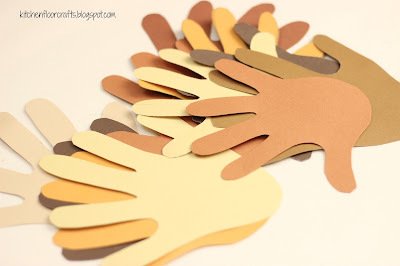 This would also make a great class project to follow a discussion on Martin Luther King, Jr. Don't forget ti take a peek at the other blogs participating in he Blog Hop! Welcome to our third annual blog hop on Martin Luther King Day for Kids! Find great ideas for commemorating MLK Day with kids and don't miss our series from last year and 2015! For even more, be sure to follow our Black History Pinterest board! 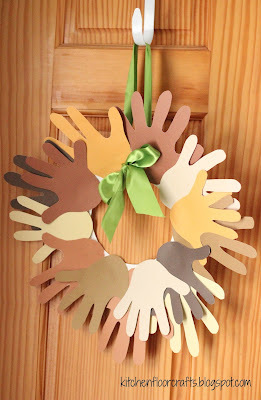 Follow Multicultural Kid Blogs's board Black History on Pinterest.